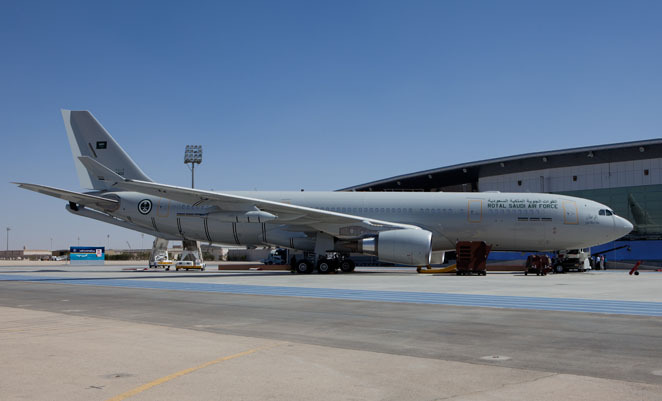 A Royal Saudi Air Force A330 MRTT tanker has supported a trans-Atlantic deployment of RSAF F-15s to Las Vegas to Red Flag exercises earlier this year. The aircraft staged through Moron AFB in Spain and McGuire AFB in New Jersey, and covered 16,000km each way. A release from Airbus Defence and Space congratulating the RSAF on the deployment confirms the MRTTs boom refuelling system is being used operationally by some operators. The A330 MRTT is operated by Australia (KC-30A), the UAE, Saudi Arabia and the UK (Voyager) and is on order by Singapore, although UK’s Voyagers aren’t equipped with a boom. The RAAF has so far refused to accept its boom into service due to flight safety concerns following two separation incidents of booms from RAAF and UAE A330s in recent years, and what it perceives as a lack of maturity in the boom’s software-driven systems. Any word on when our A330 MRTTs are due for IOC and FOC for the boom? I’m assuming they will need to test and certify each receiving aircraft type is that correct? There are two RAAF KC-30As currently in Getafe doing boom trials work, so an initial flight clearance may not be too far away. I’m hoping to do a profile on AMG in the August issue of the magazine so should have more info then. Could we ever order more MRTT’s?. I have heard a rumour that they could use some as VIP transports for BBJ replacements. I think it would be great for some to be based in Williamstown or Tindal. .